The membership team identifies and recruits prospects, welcomes and guides new members. We work at enhancing the IFMA experience by directing its members to educational seminars, tours, and other professional development opportunities. Membership will work closely with the associate and education committees to strengthen the value of membership for all members within our chapter. 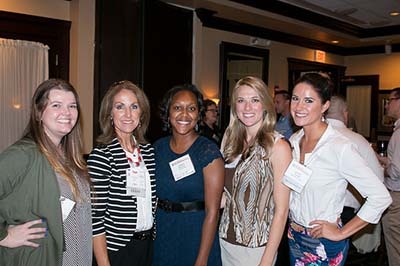 By participating with the membership committee you have an opportunity to develop a network of professional contacts. You will be viewed as a resource of information when needing answers to any questions regarding our chapter. Assistance with the Associate Chair will enable you to work on the Showcase and Atlanta World Workplace in conjunction with the Education Committee. You will also be a contributing factor to the growth and future of IFMA Atlanta.